We recently got to watch The King’s Speech on DVD. I have to say this is one of the best movies with a rather new approach for screenplay and some intriguing camera angles. In one line, this is a must watch movie. 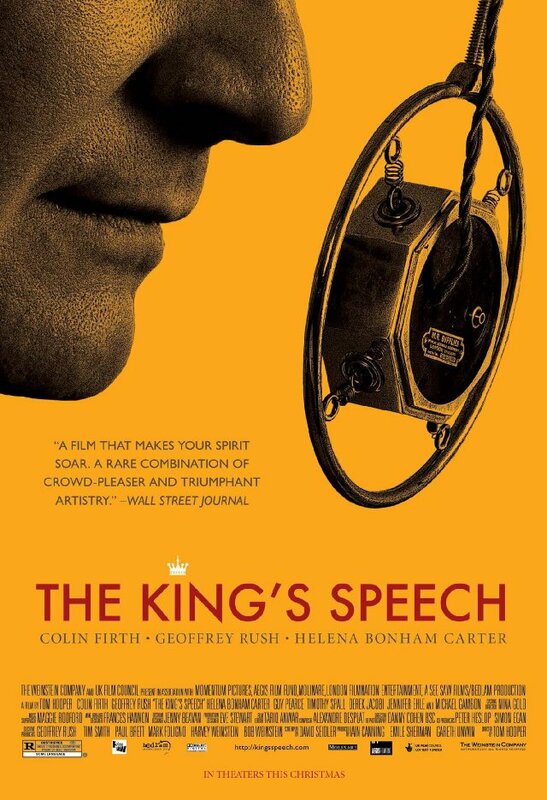 The King’s Speech is the story of King George VI of Britain, played by Colin Firth who overcomes his stammer problem and becomes the voice of hope for his Kingdom and leads them through a tough World War II. Other then King George the prominent character in the movie is Dr. Lionel Logue, played by Geoffrey Rush. A simply marvelous display of his talent in this movie. Colin Firth on the other hand handles his stammer stunningly. The movie starts with King George VI visiting various “doctors” trying to cure his stammer as his ascension to the throne was inevitable. King George has been in the public service for all his life after he served the Navy. His brother Edward was rather more enjoying his privileges as a prince and didn’t qualify to be a King on any grounds other then being the son of a King. Once King George V dies and Edward becomes the King all hell is broken lose as George VI fears his troubled brother’s failure of duties will ultimately make him the King. Which is exactly what happens. But the movie focuses of the How King George VI i.e., Bertie (as his family calls him) works with Dr. Lionel Logue to overcome his problem. We are not really interested in spilling the beans for you. So, it is better if you get to watch the movie and enjoy it to the full extent. WWII Bomb Found in Japan Airport - Airport Sealed-off! Next: More Head to Roll Over Secret Service Scandal ?